Lightweight and compact the GTH™-3007 measures 2 m (6 ft 6 in ft) wide and 2.07 m (6 ft 8 in) high with a weight of only 5970 kg (13,161 lb). Spacious and comfortable cab with adjustable and suspended seat, adjustable steering wheel, heating/ventilation. 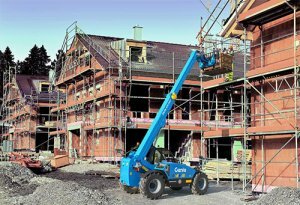 Extremely maneuverable and perfect match for rough terrain jobsites, busy and congested spaces thanks to a low 4.4 m (14 ft 4 in) outside turning radius and high 45 cm (18 in) ground clearance. 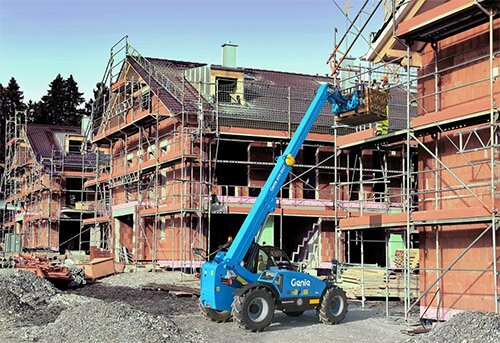 Combining the durable ‘built-to-last’ quality and serviceability features that Genie products are known for, the GTH-3007 telehandler includes a rugged chassis, a two-stage boom with no chains or cables, durable heavy-duty steel fenders and field proven Dana® axles with full-time planetary four-wheel drive and four-wheel steer. Fully compliant 74-hp Deutz Stage IIIB (IIIA on demand) and low emissions operation without the need of DEF (urea) after treatment. Engine servicing is also notably faster and easier than units with higher horse-power engines which enhances rental availability and boosts profitability. The hydrostatic transmission ensures continuous, precise speed control. It provides smooth control, accurate positioning and a high climbing capacity. Multi-function joystick allows simultaneous control of all boom movements in an intuitive manner. Used with a wide range of accessories, they perform efficiently outdoor.